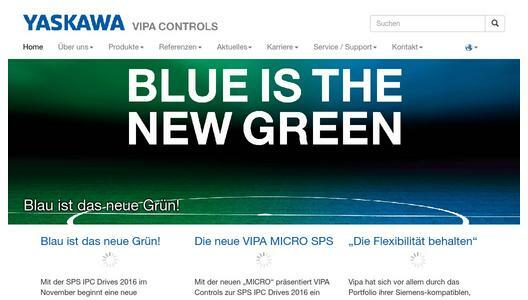 Vipa Controls launched a new generation of controllers at the SPS IPC Drives 2016 with the unveiling of the Vipa Micro PLC. One year later, the Franconian automation specialist has raised the bar in the field of compact and small controllers with the help of new features and modules. 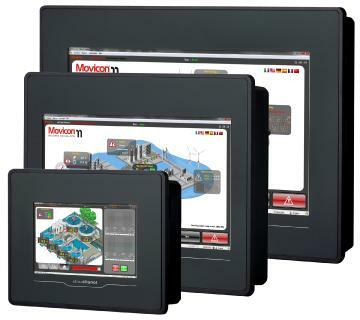 The new free firmware update has equipped the Micro PLC with an integrated web server, which allows arbitrary access via smartphone, laptop & Co. on data, diagnostics and status interfaces as well as freely definable visualization projects. In addition to standard Ethernet protocols such as Modbus TCP or S7 communication, the Micro now also speaks Profinet. This means that up to eight Profinet devices can be easily connected and/or the Micro can be integrated as an I-Device in Profinet topologies. In addition, the update adds useful features such as SNTP, pulse train output, MRP client, PNIODiag FB126 to the compact Vipa small controller. In addition, the Micro system has been extended by three new modules: a digital output module with eight relay outputs and two analog output modules. Analog input modules are expected to be released in December 2017. With this continuous implementation of new features and the development of new modules, the Micro PLC offers the user a multitude of new application possibilities. 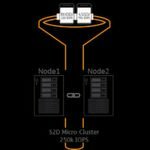 Furthermore, the combination of high functionality and excellent performance in a very confined space raises the Micro to a new level in the control market and allows the customer to stand out from the competition. 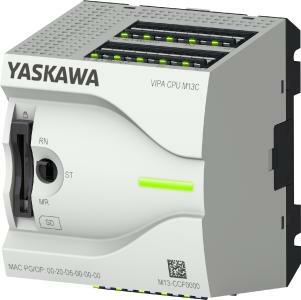 Yaskawa Vipa Controls, located in Herzogenaurach, is a global player with strong regional roots. The company has been developing and producing reliable automation components and Programmable Logic Controls (PLC) for more than three decades. The innovative solutions are deployed in the automobile and logistics industry, for building automation and in the food and beverage industry. Vipa Controls is represented worldwide in more than 60 countries and has nearly 250 employees. Since November 2016 it is the third division of Yaskawa Europe GmbH, the European subsidiary of the Japanese manufacturer Yaskawa Electric Corporation known for high-quality drive and motion technology and robotics.